Brian Slocock researches the regime officers named at the Security Council. This article is included in the Autumn 2018 issue of Syria Notes. ‘Last time we discussed this issue, Madam President, the military side, we were in the Consultations Room and then I read out our understanding of which Syrian military units are in the vicinity of Idlib. And echoing the Secretary-General’s call, I’d like to read these units out in the Chamber, and I’d like to make very clear that if there is a major offensive against civilians with massive civilian casualties in Idlib, then these are the people that the international community will be holding accountable for those abuses and violations of human rights and international humanitarian law. General Ali Abdullah Ayyoub in mid September visiting front lines for a regime assault on Idlib. 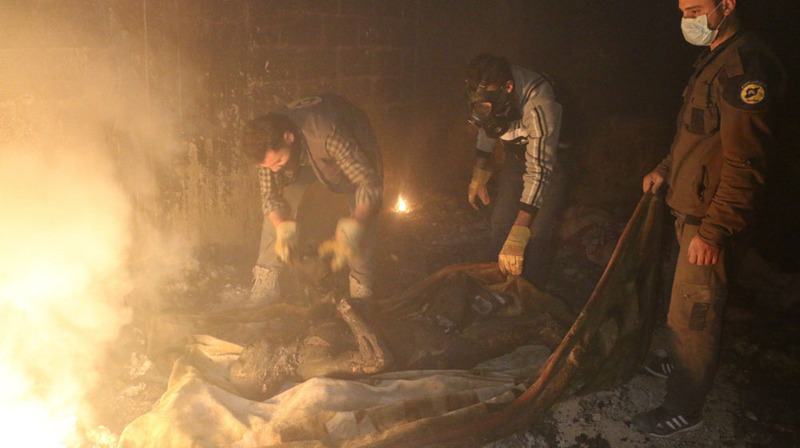 Who are the Assad regime officers named by Ambassador Pierce? General Ali Abdullah Ayyoub (above) has been Chief of General Staff of Syrian Arab Army since 2012, and Minister of Defence since 1 January 2018. He is sanctioned by the EU as responsible for ‘repression and violence against the civilian population in Syria.’ Born in the city of Latakia on 28 April 1952, he is married with three children. Maher-al-Assad (right) is the younger brother of President Bashar al-Assad. 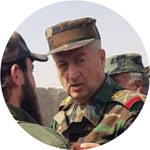 As commander of the elite 4th division, he is ostensibly responsible for the security of the capital, but since 2011 has been central to the Syrian regime’s machinery of repression. For several years Maher was formally only a brigade commander, but viewed as effectively in command of the Division because of his family connection. In 2017 the he was promoted to the rank of major-general and the following year formally designated Commander of the 4th Division. 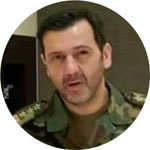 Maher al-Assad was linked to the 2005 assassination of former Lebanese Prime Minister Rafik Hariri in an unpublished early draft of the UN’s Mehlis Commission report on the killing. In 2011, a video was released allegedly showing Maher photographing dismembered corpses of inmates killed at Sednaya prison in 2008. Maher’s sister-in-law Majd al-Jadaan, who now lives in exile in the US after coming into conflict with Maher, has described him to Reuters as a stubborn and ruthless man who beats his junior aides. Maher has extensive business interests. He is sanctioned by both the US and the European Union. Born in 1967, Maher al-Assad is married to Manal al-Jadaan. They have three children, two girls and a boy. They live in a villa near the presidential palace, and he also owns a ranch and horses in the Yaafour area near Damascus, according to an Associated Press report. Major General Ali Mahmoud has reportedly succeeded Maher al-Assad as commander of the 4th Division’s 42nd Armoured Brigade, which could well make him deputy Commander (and even effective Commander) of the Division. He does not seem to be on any sanctions list. 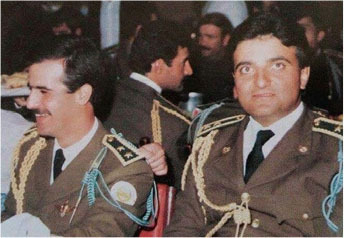 Major General Talal Makhluf (right) is the Commander of the Republican Guard, ostensibly responsible for protecting the President but in recent years deployed for much broader purposes. He is Bashar al-Assad’s cousin, and a member of the powerful Makhluf family, which includes Syria’s wealthiest businessman, Rami Makhluf. 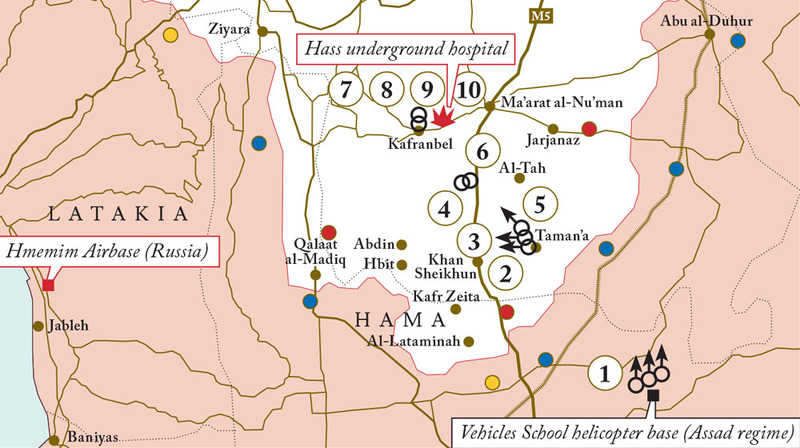 A December 2011 Human Rights Watch report, titled ‘By All Means Necessary,’ on individual and command responsibility for crimes against humanity in Syria, included testimony from army defectors that they had been ordered by Talal Makhluf to shoot and kill unarmed demonstrators. Talal Makhluf was sanctioned by the US and the EU for his role in violent repression in Homs in 2011. 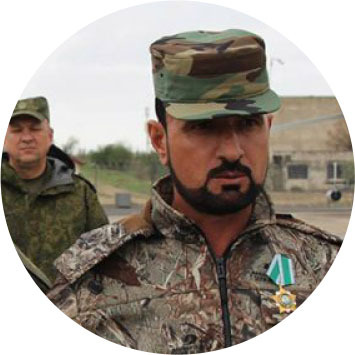 Brigadier General Suhayl ‘Tiger’ Hasan (right) is the head of a militia operating under the umbrella of the Syrian Arab Army—the eponymous ‘Tiger force.’ He led the ground forces in the 2018 attack on East Ghouta with air support from Russian forces, in which more than 2,000 civilians were killed—including over 300 children. Hassan’s Tiger Force benefits from the patronage of the Russian military, who have provided it with equipment, including T-90 tanks. Tiger Force units have filmed themselves executing prisoners and displaying heads of captives. He is a protégé of Major General Jamil Hassan (no relation), head of the notorious Air Force Intelligence. As a colonel, Hasan was Director of Operations in Air Force Intelligence in 2011 and commanded repressive operations against democracy protestors in Moadamiya, involving mass arrests and torture of detainees. There, he reportedly ordered forces under his command to fire on peaceful protesters. In 2012 he was implicated in military operations against protestors in Daraa, and in a massacre in the city of Tremseh in which 200 civilians were killed. He is sanctioned by the US and by the European Union. 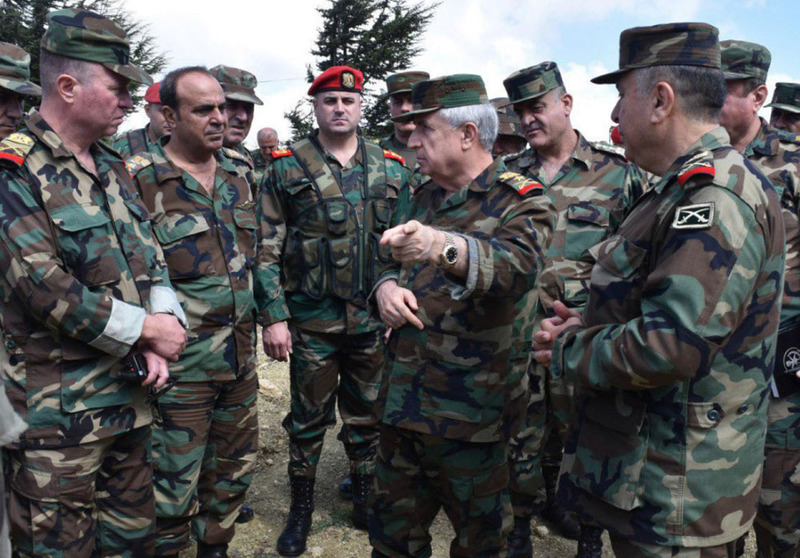 Five of the above six key commanders are members of the same Alawi sect as Bashar al-Assad, and two are close family members. All contents are copyright © the individual contributors. Editor: Kellie Strom. Design by Superpower Partners. Published in cooperation with Little Atoms.